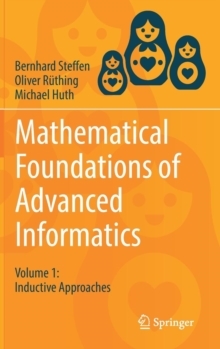 The books in this trilogy capture the foundational core of advanced informatics. The authors make the foundations accessible, enabling students to become effective problem solvers. This first volume establishes the inductive approach as a fundamental principle for system and domain analysis. 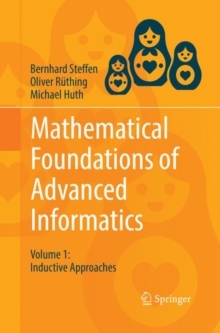 After a brief introduction to the elementary mathematical structures, such as sets, propositional logic, relations, and functions, the authors focus on the separation between syntax (representation) and semantics (meaning), and on the advantages of the consistent and persistent use of inductive definitions. They identify compositionality as a feature that not only acts as a foundation for algebraic proofs but also as a key for more general scalability of modeling and analysis. A core principle throughout is invariance, which the authors consider a key for the mastery of change, whether in the form of extensions, transformations, or abstractions. 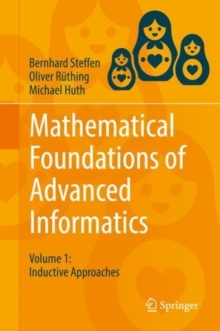 This textbook is suitable for undergraduate and graduate courses in computer science and for self-study. Most chapters contain exercises and the content has been class-tested over many years in various universities. Pages: 228 pages, 7 Tables, color; 7 Illustrations, color; 22 Illustrations, black and white; XXVII, 228 p.